A fully updated tutorial on the basics of the Python programming language for science studentsPython is a computer programming language that is rapidly gaining popularity throughout the sciences. 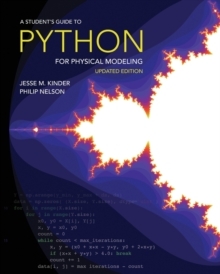 This fully updated edition of A Student's Guide to Python for Physical Modeling aims to help you, the student, teach yourself enough of the Python programming language to get started with physical modeling. 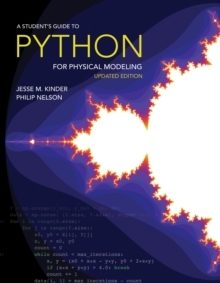 You will learn how to install an open-source Python programming environment and use it to accomplish many common scientific computing tasks: importing, exporting, and visualizing data; numerical analysis; and simulation. No prior programming experience is assumed. 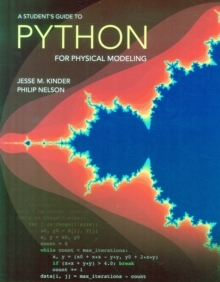 This tutorial focuses on fundamentals and introduces a wide range of useful techniques, including: Basic Python programming and scriptingNumerical arraysTwo- and three-dimensional graphicsMonte Carlo simulationsNumerical methods, including solving ordinary differential equationsImage processingAnimationNumerous code samples and exercises--with solutions--illustrate new ideas as they are introduced. Web-based resources also accompany this guide and include code samples, data sets, and more. This current edition brings the discussion of the Python language, Spyder development environment, and Anaconda distribution up to date. In addition, a new appendix introduces Jupyter notebooks. Pages: 168 pages, 5 color illus.